We’ve finally made it to Friday! Yes! Thank goodness. I don’t know about you but I’ve definitely got a busy weekend ahead of me. I’ll be spending most of the afternoon in the West Loop shooting something fun all over the neighborhood, spending tomorrow morning at Mirepoix Studio in Wicker Park for some afternoon yoga and following it up with drinks and a concert for my friend’s 25th birthday. Woo! Then Sunday I’m shooting content for two upcoming campaigns that I’ll be sharing both next week. This month has been absolutely nuts and it’s only getting crazier from here on out, but nonetheless, it’s been quite magical. Before I get to my second post tomorrow on my summer in the city (the new series I brought up last week), I wanted to post something random and fun. Yesterday on the train I had inspiration to write a post on random facts about me that you may not know. My good friend Erin inspired it after I read this post called “10 Things You May Not Know About Me“. While 10 seems very doable and quick, I figured I’d go balls to the wall and do 25. So here we go, chickadees! Let me say it’s harder than you think to think of 25 somewhat interesting facts about yourself. 1. I’ve worked non-stop since I was 16 and my first job was in the food industry. Shocking? Barely. I worked with two of my best friends at a local ice cream and chocolate shop. Since then I’ve worked at Menchie’s Frozen Yogurt and Whole Foods – among a few others. 2. I fall asleep during every movie I watch and I don’t really ever watch Netflix. The only shows I’ve fully watched/have been entertained by are 90210, The O.C. and One Tree Hill. Side note fact: I’ve never seen a full episode of any “popular” show including Parks & Rec, The Office, 30 Rock… you name it, I probably have not seen it. 3. My favorite foods are crab cakes, tacos and meatballs. If you know me well, you’ll know this. When I was little and my family vacationed to Florida every year for about 10 years, I would order crab cakes and virgin piña coladas for dinner every. single. night. 4. In high school I was obsessed with all of those alternative punk rock boy bands like All Time Low and The Maine. I think my sophomore year of high school I saw 20 concerts in 1 year. Now I literally go to 2-3 a year if that (not All Time Low, however). 5. I was born with dark brown hair and didn’t color my hair for the first time until I was 21. 6. I’ve never been out of the country, nor do I own a passport. 7. I have a really weird fascination and memory for remembering specific dates in my life, especially when I met certain people, went to certain places or experienced certain things. For example, I remember the first time I heard Waves by Kanye West was April 1st, 2016 and I was on a bus headed to visit my best friend. Weird. I know. 8. Growing up when I would eat broccoli at dinner, I could only eat it dipped in ketchup. Now I can’t stand the sight of ketchup. 9. When I order drinks I either want them ice cold with tons of ice or boiling hot. No in between. If I ask my barista for an extra hot latte, I expect it to be actually HOT AF. Side note of that: I put ice in 99% of my drinks and I have an awful habit of chewing it, especially around people who I know probably don’t want to hear it. Oops. 10. Before I die, I want to be a fitness instructor. I’ve found so much through fitness, especially in my journey of grieving, that I would love to give that feeling to someone else. 11. I always sleep with a fan on, even when it’s the dead of winter and freezing in Chicago. 12. Ever since I was little my mom called me “pearl” because I was so pale. It was like my childhood nickname that never went away. Even when I was 21 she was still calling me pearl. 13. On my 17th birthday, I went to Chicago for the first time and that’s when I knew I had to live here. Fast forward 5 years and I’m living the DREAM in this beautiful place. 14. The first job I ever had in Chicago, the first night I was working John Cusack came in and bought a grape kombucha from me. 15. I’ve worn glasses since I was in the second grade and literally without them (or my contacts) I’m pretty blind. Or at least could not go out in public. 16. I don’t like sushi or thai food. 17. I associate certain songs with times, places and moments of my life and literally nothing makes me happier than making new playlists or sharing music with people and having them enjoy it. Currently I have over 125 playlists on my Spotify and each playlist represents something completely different for me. 18. Every time I wake up in the middle of the night and go back to sleep, I have a dream. Every single time. 19. When I was 15 my mom and aunt took my two friends and I all the way to Boston to see the Dew Tour. Anyone remember those? Basically because we had a teenage crush on Ryan Sheckler. Remember him? Literally out of the state to see a celebrity crush. 20. I’m allergic to animals and pollen. Ask all of my best friends, my eye allergies are the worst and 9x out of 10 my eyes are puffy, red or itching. 21. Whenever I listen to upbeat music, I tap my foot up and down to the beat. Repeatedly. 23. My favorite show when I was growing up was I Love Lucy and I had every season on DVD. 24. My worst fears are moths and pigeons. Basically any animal that flies. Yes, I’m even scared of butterflies. 25. In high school, my French teacher read us The Little Prince and we talked about all of the deeper meanings in it. One of them was our “petit bonheur” which means little happiness. Back then I said it was piña coladas (read from above how I used to love virgin piña coladas as a kid). But I definitely think now, I love the way that light reflects on wood floors/doors when the sun is setting or rising through your window. It’s kind of similar to when you see dust “dancing in the light”. It gives me such a simple form of happiness. A little happiness. Well friends, there ya go! 25 random little tidbits about my life and myself. I hope you enjoyed them. I’ll check back in tomorrow with my favorite things I did/saw/experienced this week and other fun updates. I hope you’re all having a great week and even better Friday AM! I love posts like these to learn more about you! I also wear a necklace everyday that I’ve never taken off and you should totally become a fitness instructor. It’s SO much fun to help people and truly change their lives! Thank you, Carrie! Also totally checking out your blog now and LOVE it. #26 – This blog went from “how do you make a blog?” pondering to hosted_on_the_web reality in less than 24 hours. 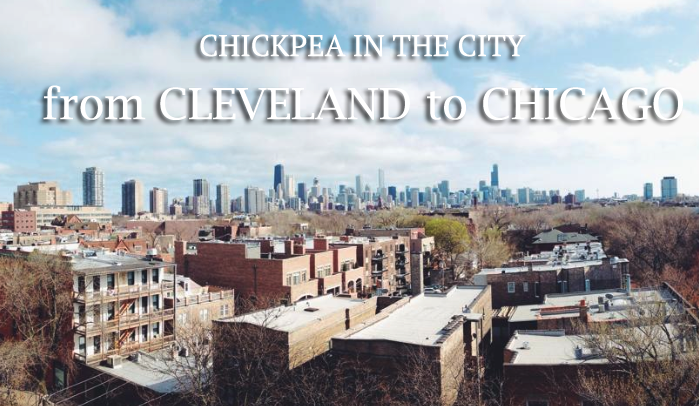 Yes, Chickpea in the City happened literally overnight. Hahaha I love you Uncle Mike. You are very witty. If Ranchland Drive didn’t exist, Chickpea wouldn’t exist!!! I used to have a lotus flower from them and it broke last summer! THE WORST! Honestly I got stuck at 17 and had to finish this morning haha. Addie, I absolutely loved reading this. It’s so refreshing to see bloggers like you bringing something new to the table. And a little bit more of reality into this crazy world that we call the internet! Loved learning more about you! Glad to know that at 24, I’m not the only one who hates ketchup and is afraid of birds! Nothing makes me cringe like the smell of ketchup and I will always go out of my way to avoid a bird in my walking path.